Freedom-loving, multicultural and with a hint of Venice – Amsterdam, the capital of the Netherlands, mesmerizes many visitors with its cosmopolitan charm. Legions of old bridges and world-renowned canals cross the city. Amsterdam reveals many fascinating facets, such as one of the largest and at the same time most mysterious old city centres of Europe, or the famous Vincent van Gogh museum. Do you know what the Leaning tower of Pisa and Amsterdam have in common? Barcelona offers many attractions such as innovative urbanism, astonishing world-class architecture and a celebrated soccer club drawing in many enthusiastic visitors every year. Whether you are enticed to take a walk around the medieval alleys of Citut Vella or enjoy an evening at the hilarious scenic district Raval, Barcelona has many fascinating features on offer. Do you know which yet to be completed building belongs to UNESCO’s World Heritage? With its authentic dry humour and its nonchalant flair, the cheerful metropolis of Berlin has convincing charming sides. Some visitors have irreversibly fallen in love with this city at second sight. „Ick liebe dir, ick liebe dich, wie’t richtig is, dit weeß ick nich,ick lieb’ dir nich im dritten Fall, ick lieb’ dir nich im vierten Fall, ick liebe dir uff jeden Fall“ – the dialect of Berlin is unique, like so many aspects of the capital, which you can experience up close while you visit. By the way, do you know what a Spandauer is? The people in Brussels are said to be exuberant and full of life, a trait which can be experienced in the city’s great nightlife and pleasant atmosphere. Brussels showcases fine cathedrals, monumental palaces, Art Nouveau quarters as well as good places for those who love shopping. By the way, do you know the emblem of Brussels, which is accessible to the public in the district Saint-Jacques, despite having been repeatedly stolen throughout the last centuries? The historical flair of the old buildings and museums is mixed with highly contemporary and inspiring architecture. Warm-hearted Copenhagen appears neither loud nor overfilled with people. Instead, the clocks seem to run at a slower pace and the town has kept its relaxed character to this day. Do you know which famous fairytale figure made of bronze can be found at Copenhagen’s riverside and is deemed the city’s emblem? Impressing visitors with spacious parks, the riverside of Lake Geneva and an elegant old city centre with alleyways full of exquisite boutiques, noble Geneva invites you to stroll through its streets. Rich in tradition, the Clock Town Geneva has an extraordinary way of measuring time in the English garden. Do you know what kind of clock you can find there? A sparkling pearl and one of the most seducing and fascinating cities of Poland, beautiful Krakow awaits you with an overwhelming backdrop. The architecturaly astounding old city centre, with its many well-preserved buildings, ranging from the romantic to the art nouveau period and, most of all, from the Renaissance to the Gothic age, make it a much loved destination in Europe. In the heart of Krakow you can find a breathtaking marketplace - called Rynek Glówny. Can you gather why from time to time, young people bounce on one leg around the memorial of Adam Mickiewicz that stands there? Whether you wander through the lofty and narrow alleyways of Alfama or experience the exciting nightlife of Bairro Alto, Lisbon is a town of architectural excellence with a relaxing mediterranean flair. One is made aware of it when strolling through the city at night. Do you know what the most popular style of Portuguese music is called? Forward-looking, highly contemporary and with a finger on the pulse of the time, London is a bustling and fascinating metropolis, where you can experience a thrilling atmosphere. London is filled with many contrasts – you can come across the futuristic London Eye, the third largest ferris wheel of the world, within sight of the historical Tower Bridge. 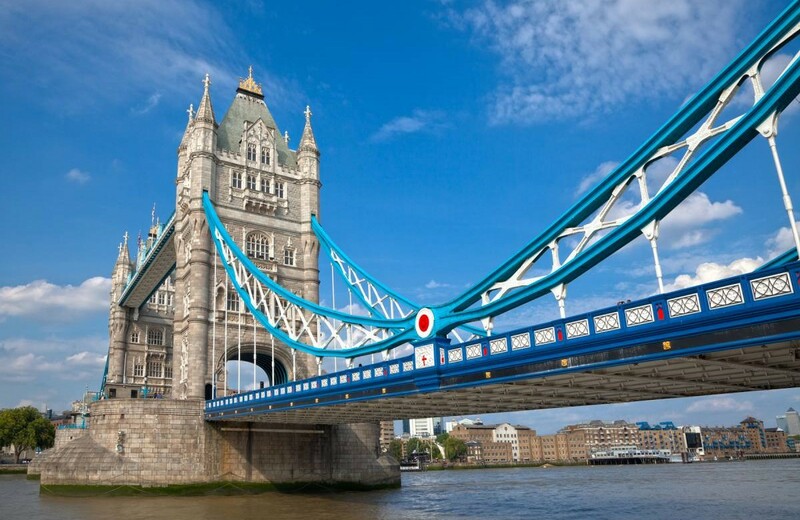 Multicultural and with numerous world-class sights, London ranks tops on tourist popularity scales. Do you know which famous London lady established the world–renowned wax museum in London? It doesn’t matter whether you practice your bargaining skills at the world famous flee market El Rastro, which takes place at the Plaza de Cascorro, or whether you buy a sophisticated evening dress at Gucci on the boulevard Calle Ortega y Gasset – Madrid offers something special for every taste. Maybe you know which world famous football club has it’s home here? Glamorous, conscious of tradition and with a breeze of southern cosiness – Munich offers a distinctive and relaxed atmosphere. Whether you stroll through the blooming English Garden or whether you sing along with the locals on their famous Oktoberfest – Munich is a city to feel well good in. By the same token the German Museum offers some surprises for adventure seekers. By the way, do you know where to surf in the inner city of Munich? Nowadays, many visitors are attracted to take a walk over the sublime Charles Bridge and through the old city centre – which is part of UNESCO’s World Heritage. Do you know which famous writer and poet was born in the golden city? Rich in tradition, openminded yet a little quirky – the people of Vienna love their town and appreciate politeness and good manners. Here, a cheerful „Grüß Gott“ is the common greeting of welcome. In response, the people in Vienna expect the established and traditional „Grüß sie“ instead of a confused glimpse to heaven. If done correctly, count yourself as belonging to the inner circle of Viennese high culture and then, free again, proceed to enjoy your visit in the beautiful city. Do you know what Palatschinken are in Vienna? Expect a breathtaking old city, the rich nightlife of a lively metropolis and the charming flair of Eastern Europe on your visit to Warsaw. Warsaw offers several attractions worth seeing. Exciting discoveries can be made, with the old and new parts of the city serving as a fantastic backdrop. The people of Warsaw are believed to be very hospitable and are known for their very tasty cuisine (Bigos and Perogi). Do you know which famous sight in Warsaw is called the palace under the tin roof? Cosmopolitan, culturally breathtaking and very lively, Zurich manifests itself as one of the most liveable cities of the world. Besides 50 fascinating museums, the Swiss metropolis, offers the most thrilling nightlife of Switzerland. Numerous green oases traverse the town and invite you to relax after an extensive walk. The priciest city of the world has many beautiful sights to experience, among them a church, in which the stained glass windows were created by the master Marc Chagall himself.